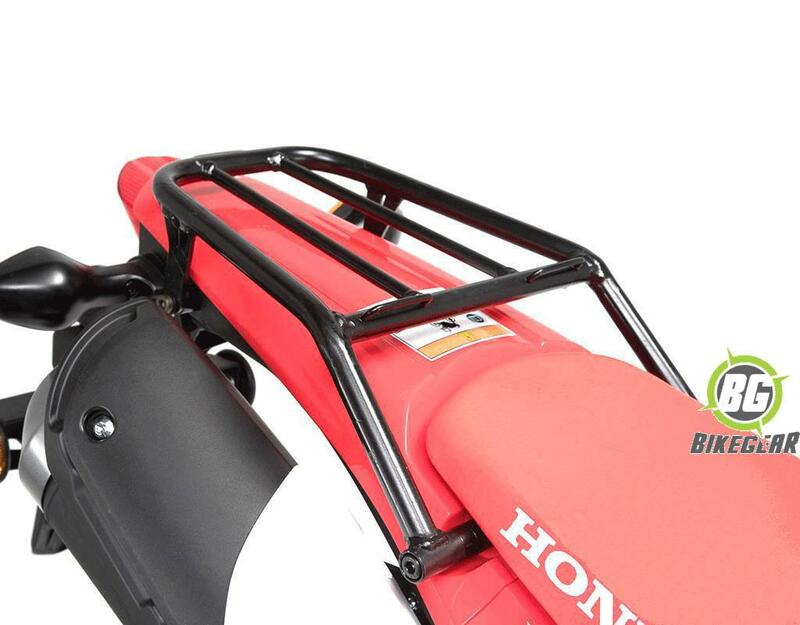 A robust German engineered rear luggage rack that easily increases your luggage carrying capacity. Improve versatility and cargo capacity with the SW-MOTECH  Honda CRF250L/ Rally rear luggage rack. This luggage rack is crafted from a sturdy tubular steel construction is powder coated black for not only an attractive finish that also for long term durability and corrosion resistance. 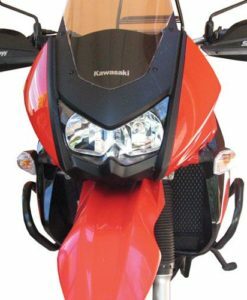 This versatile top rack creates a secure foundation for the addition of your favorite soft luggage or anything else you might want to strap to your motorcycle. Convenient tie down loops make securing your cargo a cinch while the natural tubular design works with virtually any tie downs. 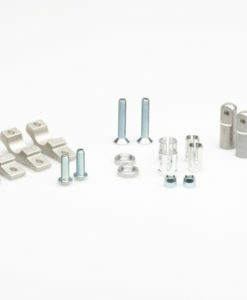 Installation is simple without the need to make any permanent modifications, simply bolt-on and you’re done. 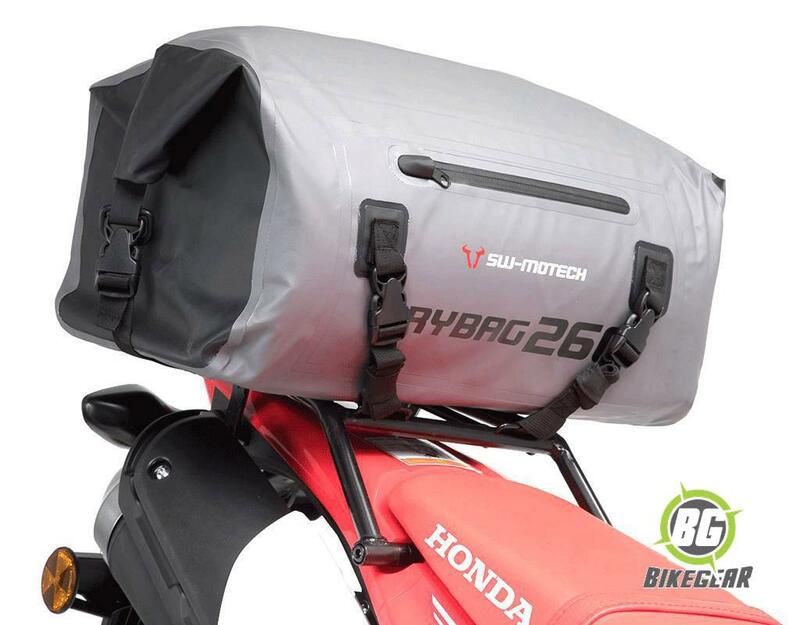 Increase your luggage carrying capacity for your CRF250L with ease.